"The dream is that one day we will be able to regenerate heart tissue, much like a salamander can regrow a limb if it is bitten off by a predator," Harvey said in a statement from the researchers. The problem is the heart’s regenerative capacity for cells stops functioning in our infancy, so regenerating whole sections was always out of the question. But according to Harvey, “some previous work has shown that it is possible to regrow heart muscle, but at clinically or therapeutically trivial levels,” Harvey said, according to Australia’s The Age daily. The heart is markedly different in this respect from human blood, hair and skin cells, which are renewed throughout life. But as far as heart muscle goes, we can’t match some animals. “So there’s always been an intense interest in the mechanism salamanders and fish use which makes them capable of heart regeneration, and one thing they do is send their cardiomyocytes, or muscle cells, into a dormant state, which they then come out of to go into a proliferative state, which means they start dividing rapidly and replacing lost cardiomyocytes,” Harvey said, according to The Guardian. The institutes showed with the example of mice that harnessing the power of neuregulin provides the ability to influence the hart’s signaling system, telling it to grow more cells. We can build on that knowledge to later tell the heart exactly what to repair by prescribing the person a specific drug. 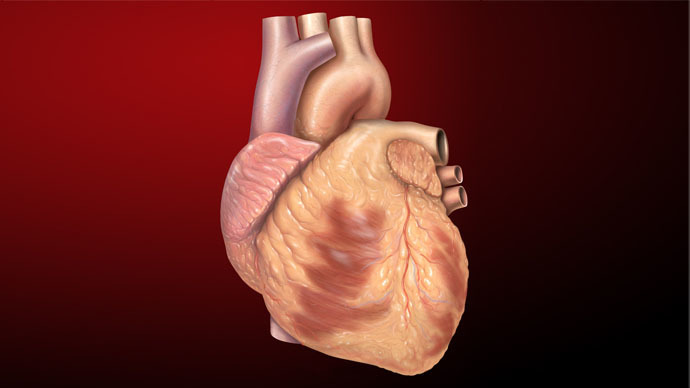 Mice with induced heart attacks were shown to recover their heart muscle tissue, all through triggering neureuglin. "Heart attacks are very common," Harvey says. "And a serious heart attack is an injury that has lifetime consequences. The heart moves to heart failure, enlarges, becomes floppy and can't pump any more. Then the only thing you can do is a transplant, and heart donors are in short supply." That is why the professor believes that the neuregulin approach is a “significant finding” that will have scientists in labs everywhere rushing to use it and improve upon it. A few hurdles need to be overcome before humans can fully regenerate their hearts. The process first needs to be proven to work on humans. “We will now examine what else we can use, other than genes, to activate that pathway, and it could be that there are already drugs out there, used for other conditions and regarded as safe, that can trigger this response in humans,” Harvey told The Guardian.